I showed a photo of the Corobichi River a few days ago. This photo shows my wife, Julie, and the river guide as he paddles down the river. This is a wildlife viewing trip, not a white water rafting adventure. 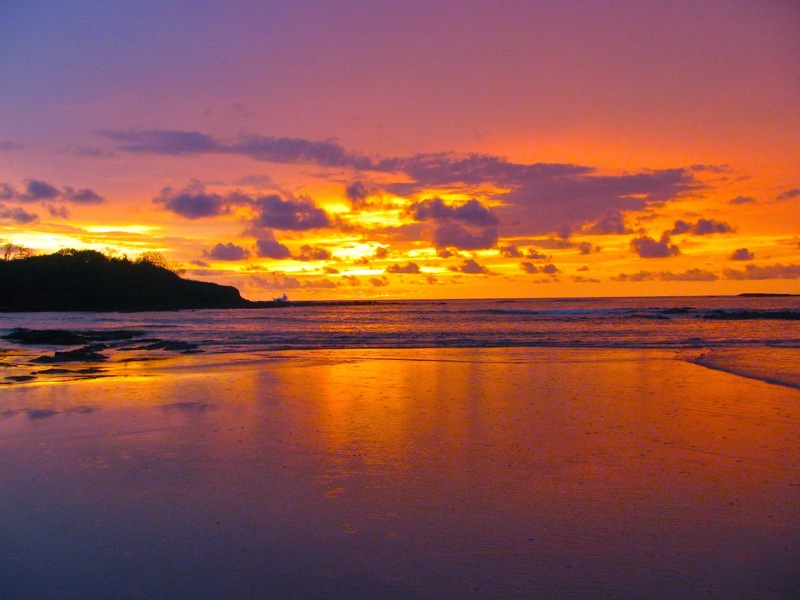 Both white water rafting and wildlife viewing raft trips are popular in Costa Rica. Yes, there are crocodiles in some of the rivers of Costa Rica. Floating by on a raft or boat is a pleasant way to see them. Local people do swim and fish in the rivers, but they must know where it is safe to do so and where to avoid. This week on our Viva la Voyage travel photo site we are showing photos of the people who have gathered for a festival in Punahka, Bhutan. 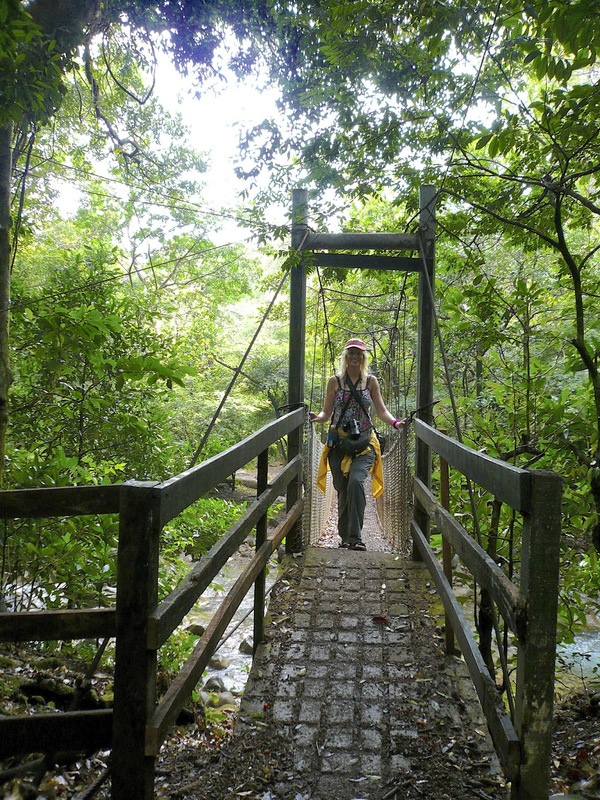 Birds are the most common wildlife sightings along the rivers of Costa Rica. 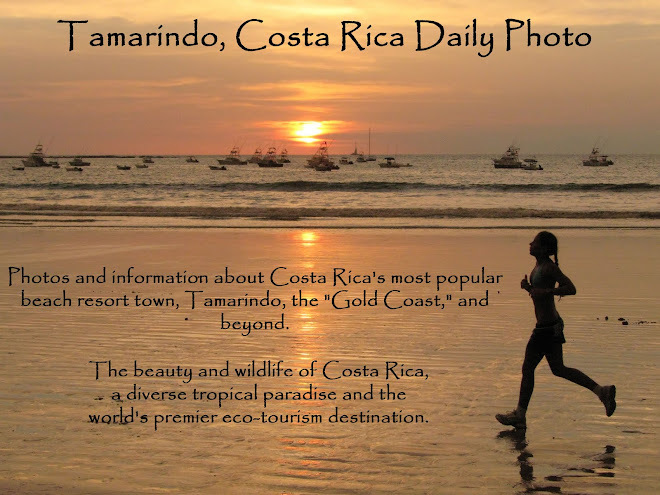 Costa Rica has more bird species than the USA and Canada combined. But larger land animals can also be spotted, as I will show tomorrow. The Corobichi River is a pleasant place for a relaxing raft trip to view wildlife, as I will show during the next few days. 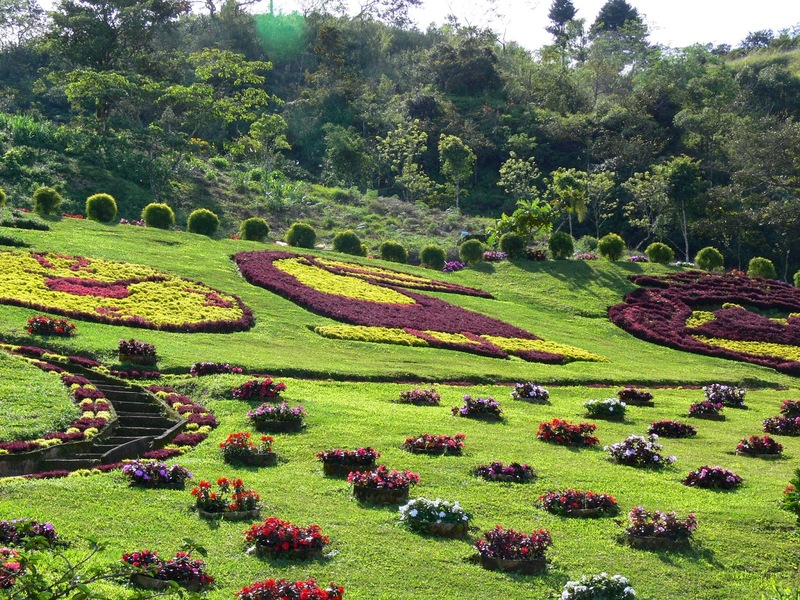 Today is Sunday, so we have new photos posted on our Viva la Voyage travel photo site. This week we are showing photos of the people who have gathered for a festival in Punahka, Bhutan. 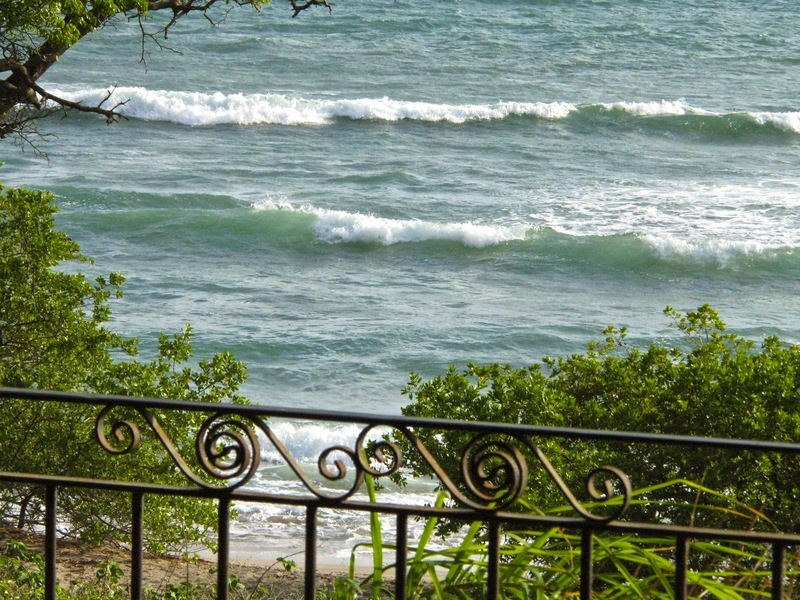 All over Tamarindo, especially along the beach, we have trees the bloom with red flowers. This week we have photos of the people of Guatemala posted on our Viva la Voyage travel photo site. This is another view of the beach at Playa Flamingo. A few years ago there was a proposal to build a resort development and pier for cruise ships at Playa Flamingo, as it has one of the few bays suitable for sheltering ships in the area. There was a delay due to controversy in the letting of the contract for the large infrastructure projects, and then the 2008 recession hit and the plans have been shelved. There is no town at Playa Flamingo suitable for being overrun with cruise ship day passengers. This week we have photos of the people Guatemala posted on our Viva la Voyage travel photo site. 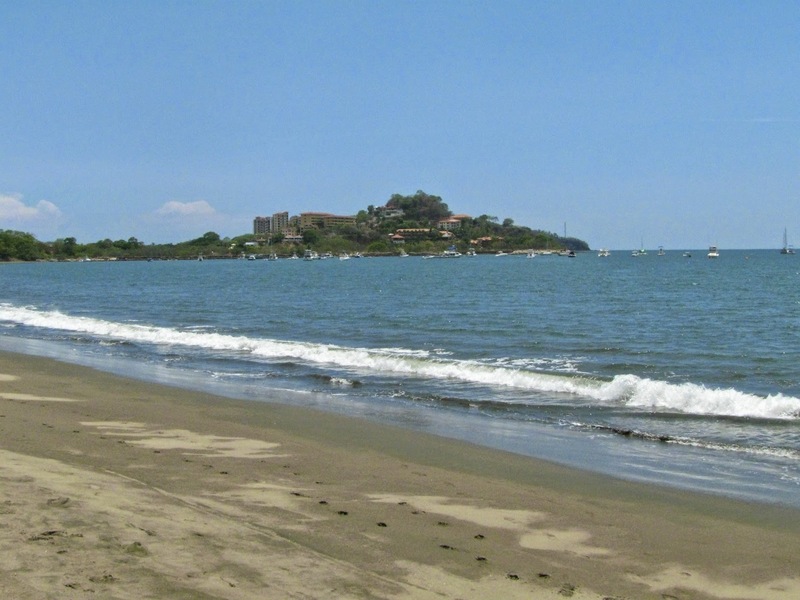 Playa Flamingo is about 15 minutes north of Tamarindo. 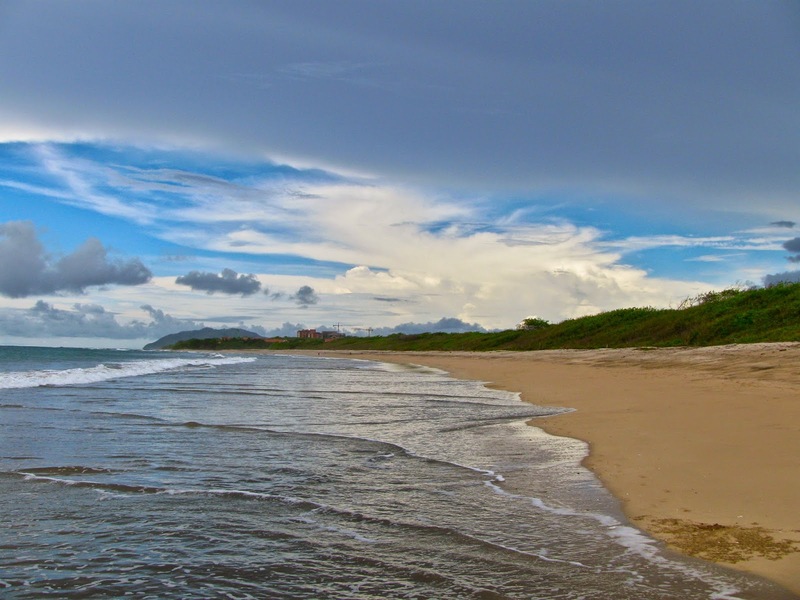 The bay is sheltered by the peninsula, so this part of the beach has gentle waves. This week we have photos of the Dalmation Coast of Croatia posted on our Viva la Voyage travel photo site. Just like it is pleasant to look down on the beach and ocean from our Langosta condo balcony/patio, the sunset views over the ocean are even more relaxing. Even on days when there is not much color in the sunset, there can be delicate highlighting from the sunset that is a serene way to end the day. This week we have photos of the Dalmatian Coast of Croatia posted on our Viva la Voyage travel photo site. I can't think of anything more relaxing than sitting on the balcony/patio of our Langosta Beach condo with a snack and a drink, and listening to the surf and looking down on the relentless march of the waves rolling in to the shore. One guest in our condo even reported to me that they saw whales from our balcony. 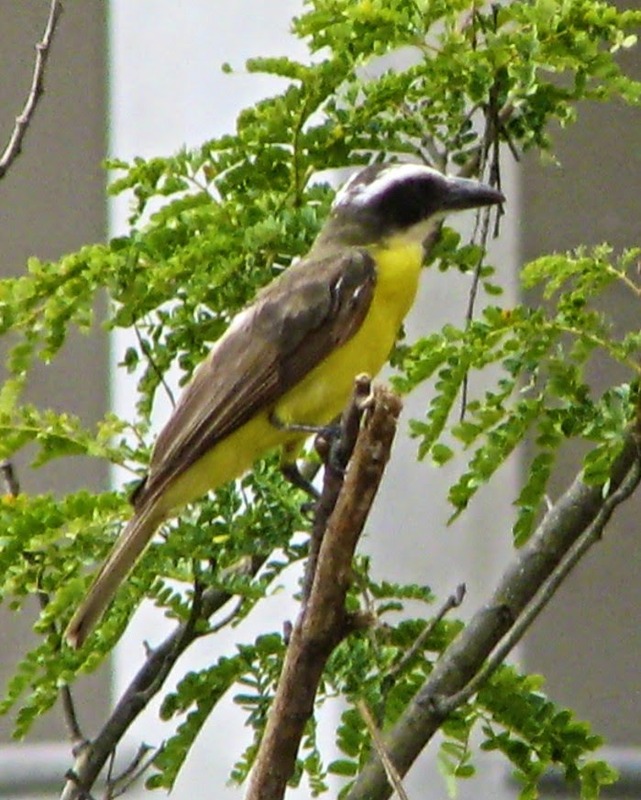 I don't know what type of bird this is, but I was pleased to see him in the trees outside our condo at the Tamarindo Diria Resort. The August 1 Theme Day was carry-out, so I am adding another post related to the theme, also using animals enjoying the equivalent of carry-out food. I recently showed a photo of a raccoon. This photo shows why we have some raccoons who are used to people. 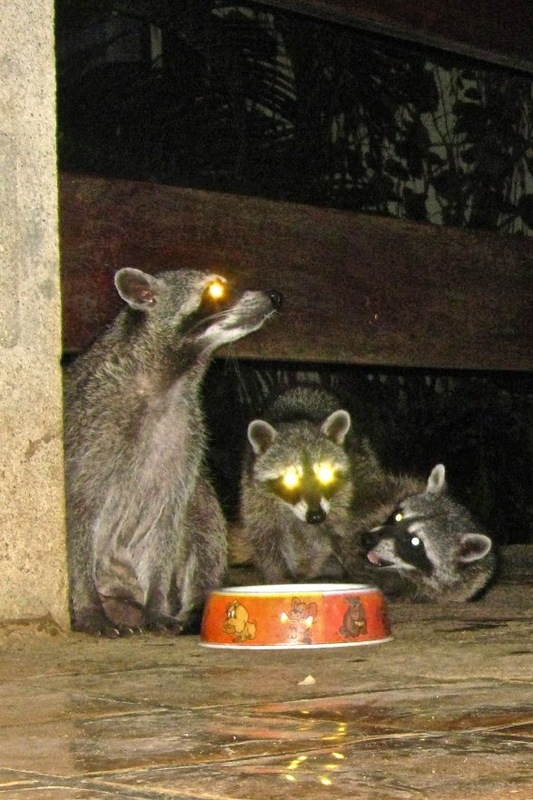 The Capitan Suizo Resort puts food out for raccoons. They come into the lobby like house cats and help themselves to the dinner. People enjoy watching them, although hopefully this does not cause their skills to atrophy to the point where the easy food left by man makes them unable to provide for themselves in the wild. Today is Sunday, so we have new photos posted on our Viva la Voyage travel photo site. This week we are showing photos of Croatia. The Dalmatian Coast of Croatia is a scenic, cultural and architecturally intriguing place to visit. Today's worldwide Daily Photo Theme is "Carry-Out" or "Take-Away." I like to find a distinctively Costa Rican interpretation of the Daily Photo themes, so I am showing a photo of a carry-out food delivery for monkeys. 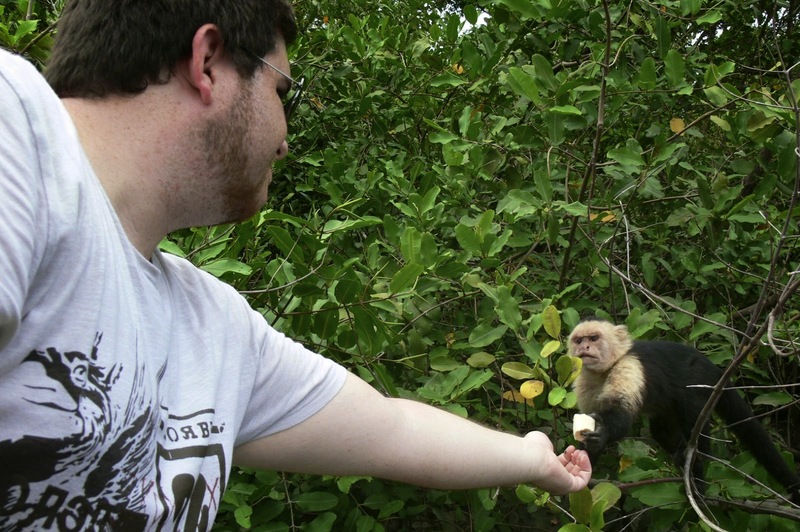 This is a photo of my son feeding a banana piece to a white-faced capuchin monkey. I am sure the monkey believes that he has humans well trained to bring him food. He is right. To see how other Daily Photo bloggers have interpreted the theme of Take Out, use this link.